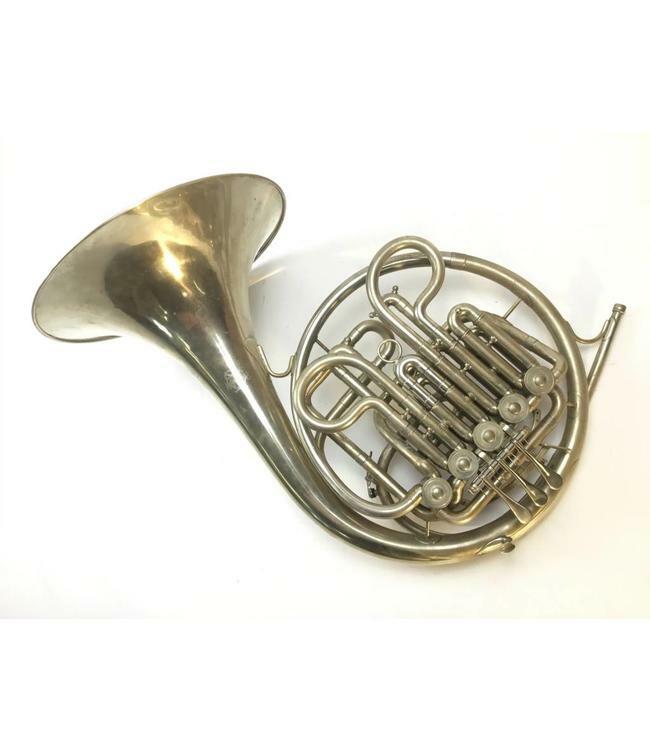 Used Paxman (Merewether) F/Bb Double french horn with a .470 bore, an ascending third valve, and a half step/stopping 5th valve in Nickel Silver Plating. Instrument is in raw nickel silver and has some very minor scratches and dings throughout the body of the instrument, with one major scratch on the bell flare. Instrument seems to be in good shape other than the normal wear and tear of playing. Comes with gig bag.